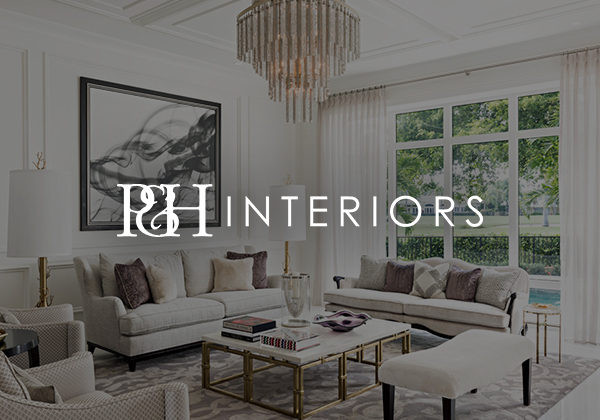 For almost 30 years, P & H Interiors has provided custom design to the full spectrum of residential homes, commercial spaces and builder models. It is a full-service interior design firm with a hard-earned reputation for extraordinary creative work and attention to detail, excellent service, and remarkable customer satisfaction. One of its greatest talents is to nurture a project from concept to reality, and to transform a blank palette into a home or workplace with harmony and soul. From a cozy and limited space, to immense and grand, the outcome is the same: an elegant, stylish and functional space that exceeds expectations. Slatkow & Husak Public Relations has been extremely proud to provide marketing services to this award-winning design firm since 1991. This was our first client, and it remains on our roster today. P&H Interiors’ extraordinary designs and talented team of professionals make them a true pleasure to work with and so appealing to the media.